One of the best things about DC is that most of its top-tier historic attractions are free. Alas, visiting Mount Vernon has a price tag. To be exact, it’s $17 if you buy your tickets online or $20 at the door. But the experience is well worth it—whether you’re a history buff or a nature enthusiast or interested in visiting a petting zoo, there’s something for you. The New Room is also furnished with several landscape paintings of Washington’s choosing—most are relatively local to the DC-Maryland-Virginia area, but there’s also one of the “Genesee Falls” in upstate New York. I can’t figure out which waterfall on the Genesee River it’s meant to depict, exactly. But as a native of Upstate America who spent plenty of summers camping on the rim of a gorge carved out by the Genesee, I was very pleasantly surprised to see an underappreciated natural wonder that I love so much appear in GW’s meticulously decorated home. Even if you don’t end up having a weird emotional connection with Washington’s art collection, the mansion’s furnishings are impressive. In place of a normalsauce key rack, dude had the key to the Bastille hung up in his entryway (freedom for America! freedom for France!). He had a custom-built bed to accommodate his 6’2″ frame, which today is not only a point of interest because of that #FunFact but also because it’s, uh, the exact spot where he died. And he had all kinds of 18th-century gadgets, like a chair/fan/desk contraption to survive hellish Virginia summers in the pre-AC era. As fascinating and beautiful as the mansion was, though, my favorite bits of the visit mostly took place as we wandered the estate. Though there was at one point a plan to inter Washington in the Capitol, his final resting place is in this tomb on his estate. Probably for the best. Poor guy wouldn’t have been able to rest in any semblance of peace what with all the partisan fighting and foreign entangling we’ve been up to these last couple centuries. Once you’ve hung out with the farm animals (optional) and paid your respects at Washington’s tomb (I guess also optional, but come on), it’s worth it to make your way down to the banks of the Potomac. In the summer months, you can even arrive at Mount Vernon by boat. In addition to an expanse of forest to wander, Mount Vernon has also got what must be some incredible pleasure gardens when it’s not the dead of winter—it feels unpatriotic to compare them to the gardens at Highclere Castle, but that’s what they reminded me of. I’m already planning a springtime return to Mount Vernon to see the gardens in full bloom. 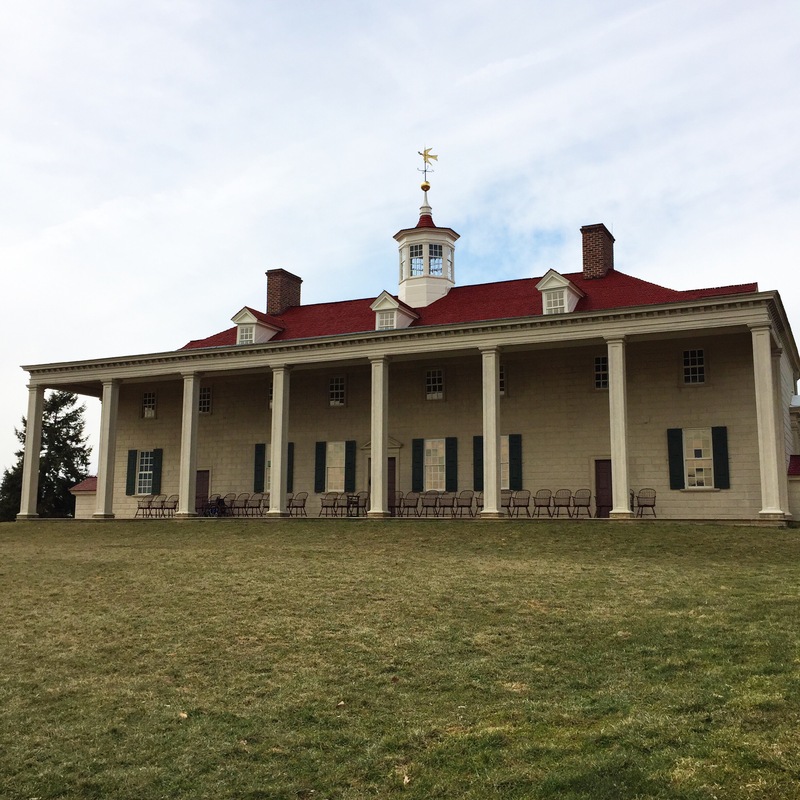 If you go: Mount Vernon is open 365 days a year, from 9am to 4pm in November through March and 9 to 5 in April through October. Plan to spend at least 2 or 3 hours at the estate (more if you book an add-on tour). General admission tickets for adults are $17 if purchased online in advance. There are also several add-on tickets available for special tours and access to areas not included with general admission. Parking is free, but the estate is also accessible via public transport if you catch a bus from the Huntington metro station.